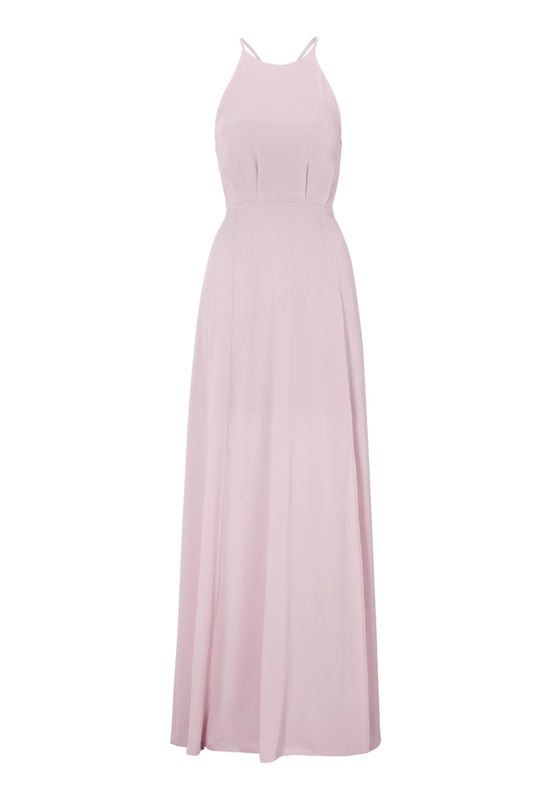 Lovely long dress made out of a crepped woven fabric from MOMENTS NEW YORK. - Unlined, lace detail at the back. - Closure with a concealed zipper and covered buttons at the back.